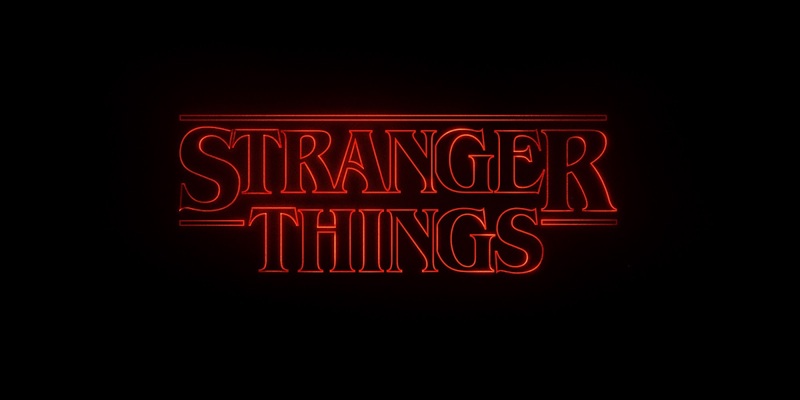 By now you've possibly been living in the Upside Down if you haven't heard of the Netflix hit Stranger Things. This unabashed love-letter to tabletop gaming and the people who play it touches on formative experiences of some tabletop gamers who grew up in the 1980s. The breakout star of Stranger Things, Millie Bobbie Brown, plays the enigmatic child known only as Eleven. 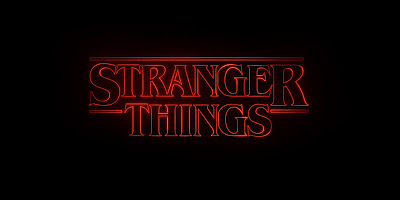 Eleven is possessed of unique psychic gifts and has an inexplicable connection to an otherworldly entity dubbed the "Demogorgon" by a local group of kids who take her in and try to unravel the show's core mysteries. In trying to present the character of Eleven in Pathfinder, she could be seen as many different classes, from Occult Adventures' psychic and kineticist, to Ultimate Magic's summoner. But those classes are all part of, and not quite all of, Eleven's unique powers. In today's System Shock article we explore one possible interpretation for Eleven's unique powers and one possible explanation for her connection to the dreaded Demogorgon. Travel into the Upside Down after the cut, and let us know your experiences with the mindcaller archetype for the summoner class! Not all summoners conjure myriad creatures and command arcane magic. Some draw forth their eidolons from within their own subconscious, projecting an expression of their own inner self onto the world when it isn't living within a mindscape of their own making. These mindcallers possess telekinetic psychic powers and a tenuous command over their darker nature. Weapon and Armor Proficiencies: A mindcaller is proficient with all simple weapons and no armor. This replaces a summoner's weapon and armor proficiencies. Spellcasting: A mindcaller casts psychic magic spells from the summoner spell list. A mindcaller also adds the following spells to the summoner spell list at the respective levels: 0—telekinetic projectile, 1st—telempathic projection, 2nd—detect mindscape, 3rd—clairaudience/clairvoyance, 4th—create mindscape, scrying, 5th—telekinesis, 6th—greater create mindscape, enemy hammer. This modifies a summoner's spellcasting. Mindscape Eidolon (Su): A mindcaller's eidolon is a mental construct conjured from his own mindscape. When not summoned, the mindcaller's eidolon remains within his consciousness and inhabits any mindscape the mindcaller makes with create mindscape. Unlike a normal eidolon, a mindscape eidolon only persists for 1 minute per mindcaller level when summoned. Summoning a mindscape eidolon only requires a standard action. A mindcaller may summon his mindscape eidolon a number of times per day equal to 3 + his Charisma modifier. This modifies a summoner's eidolon. Burn (Ex): Whenever a mindcaller casts a spell from the mindcaller spell list, he may choose to increase either the DC of the spell or his effective caster level by +1 as an immediate action. By doing so the mindcaller takes 1 point of burn (as per the kineticist class ability). A mindcaller can't choose to accept burn if it would put her total number of points of burn higher than 3 + her Charisma modifier (though he can be forced to accept more burn from a source outside his control). At 3rd level a mindcaller may cast a spell by taking burn, rather than expending a spell slot. When performing this action a mindcaller takes 1 point of burn per level of the spell being cast. At 5th level, a mindcaller may choose to take 1 point of burn to summon his eidolon as a move action. At 7th level the mindcaller may take 1 point of burn to summon his eidolon as a swift action. This ability replaces all levels of summon monster and gate. Desperate Bond (Su): A mindscape eidolon responds to the physical and emotional state of its summoner. As such, a mindscape eidolon is emboldened when its summoner is in harm's way. The duration his eidolon remains summoned is extended by 1 minute for every point of burn a mindcaller has. Additionally, the mindscape eidolon gains 10 temporary hit points per point of burn its summoner possesses. This ability replaces bond senses. Resilient Bond (Su): At 4th level a mindcaller gains a +2 bonus on Will saving throws versus mind-affecting effects when adjacent to his mindscape eidolon. Additionally, the mindcaller's mindscape eidolon is treated as having 1 additional HD per point of burn its summoner has for purposes of resisting spells such as banishment and dismissal. At 12th level the bonus to Will saves increases to +4 and the mindscape eidolon is treated as having 2 additional HD per point of burn its summoner has taken. This ability replaces shield ally and greater shield ally. Extended Bond (Ex): At 6th level, a mindcaller may attempt to maintain their eidolon beyond its maximum duration. On the final round of a mindscape eidolon's summoning, the mindcaller may attempt a caster level check against a DC of 10 + the mindscape eidolon's HD + its Cha modifier as a move action. If successful the mindscape eidolon stays summoned for 1 additional round and will disappear at the end of the mindcaller's next turn. Each round, the mindcaller may continue to make these caster level checks, however the DC for the check increases by +1 for each subsequent round. If the mindcaller fails a caster level check to maintain his mindscape eidolon, the creature becomes enraged and disoriented by the effect. The eidolon remains summoned for 1 more round, but no longer obeys the commands of the mindcaller (including any attempt to dismiss the mindscape eidolon, short of spells such as banishment and dismissal or outright hp damage) and attacks the nearest creature (including the mindcaller) to the fullest extent of its abilities until it is automatically dismissed at the end of its turn. This ability replaces maker's call. Subvert Mental Affliction (Su): At 8th level, whenever the mindcaller fails a Will save versus a harmful mind-affecting effect and his mindscape eidolon is within 30 feet, the mindscape eidolon may roll a Will save versus the effect. If the mindscape eidolon's Will save is successful, the mindcaller is treated as if he successfully saved against the mind-affecting effect and the mindscape eidolon is dazed for 1 round. At 16th level the mindscape eidolon is no longer dazed on a successful use of this ability. This ability replaces transposition and merge forms. Id Release (Su): At 10th level a mindcaller may unleash the most violent tendencies of his subconscious and manifest them in his mindscape eidolon as an immediate action. The mindcaller gains 1 point of burn and his mindscape eidolon gains the benefits of rage as a 1st level barbarian, except when the rage ends the mindcaller is fatigued, not the mindscape eidolon. At 18th level this is treated as greater rage. This ability replaces aspect and greater aspect.